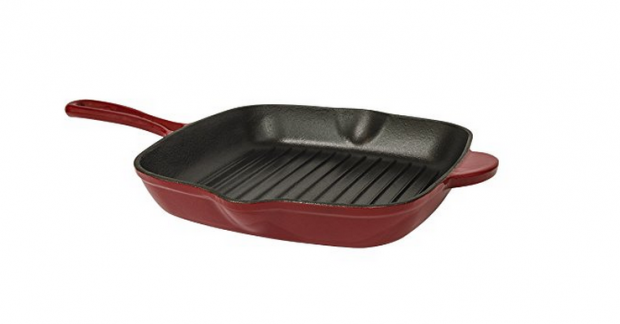 Useful 10 Inch Cast Iron Enamel Non-Stick Square Griddle Only $22.97 (Reg. $89.97)! You are here: Home / Great Deals / Amazon Deals / Useful 10 Inch Cast Iron Enamel Non-Stick Square Griddle Only $22.97 (Reg. $89.97)! If you love using Cast Iron in your kitchen, check out this great deal on Amazon! You can get this handy Useful 10 Inch Cast Iron Enamel Non-Stick Square Griddle for only $22.97! This would make a wonderful addition to any collection.